“In 1992 the Queen Mother unveiled a bronze statue of Arthur Harris, the head of Bomber Command during World War 2. The event caused international criticism and people attacked the statue. They were protesting against the deaths and destruction caused by the bombing of Dresden. The next series of posts will relate to the outcomes of Bomber Command’s strategic air offensive in Europe. I’ve segmented the analysis into three topics: How did they do it- both in the moral and the operational sense? What were the results? How is it remembered and recorded? In the early phases of the war, all raids were directed against military targets. As it became increasingly apparent that it was not possible to attack such specific destinations with precision, the campaign was shifted to area bombing. In 1942 , Sir Arthur Harris knew that the future of Bomber Command was still in doubt. He approached both Winston Churchill and Sir Charles Portal with the bold idea of assembling a force of 1,000 bombers and sending them out in one massive raid on a German city. Final orders were ready on 26 May with the full moon approaching. The force stood ready, waiting for the weather. His first choice of target was Hamburg, the second largest city in Germany and a great port. 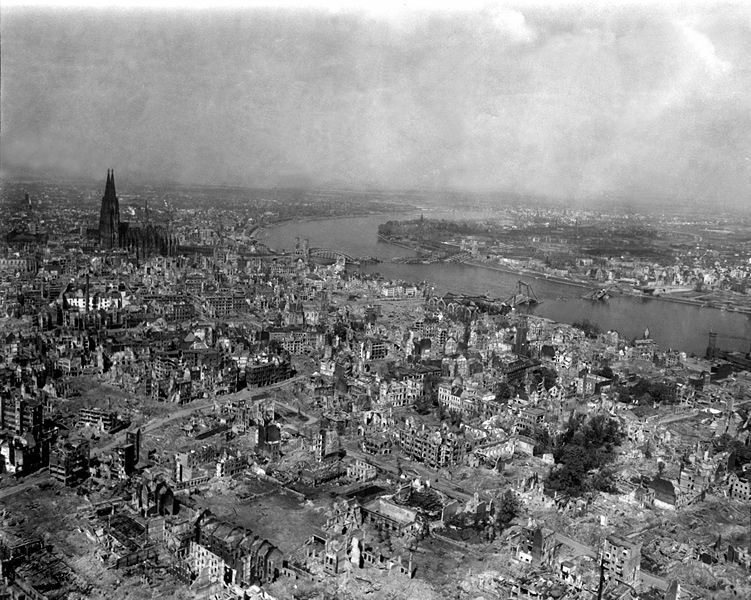 But the weather over Germany was unfavourable for three days running and, on 30 May, Harris decided to send the bombers to his second target choice – Cologne, the third largest city in Germany. Soon after noon on that day, the order to attack Cologne went out to the groups and squadrons and the raid took place that night. 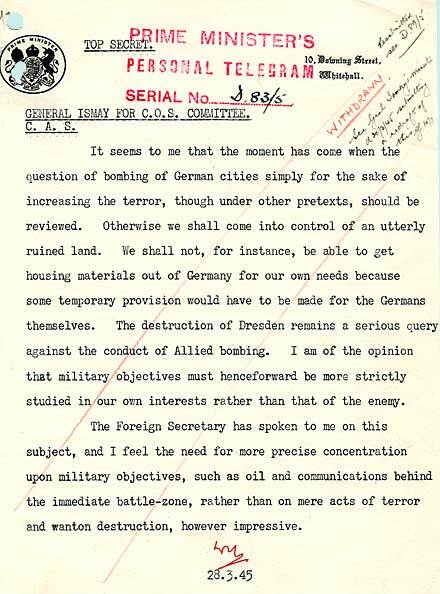 A report was sent to the Air Ministry analysing a sample of civilian letters opened by the censor after the raid: “There are those who are pleased, and those who regret that so much suffering should have to be inflicted.” (Hastings 216). Many of Britain’s churchmen supported the bomber offensive. The Archbishop of York wrote in 1943 “Often in life, there is no clear choice between absolute right and wrong; frequently the choice has to be made of the lesser of two evils, and it is a lesser evil to bomb a war-loving Germany than to sacrifice the lives of our fellow country-men who long for peace, and to delay delivering millions now held in slavery”. How to navigate this moral battlefield? In so many ways, little seems to have changed. The news this evening leads with more strategic air strikes on Libya. After months of highly technical precision bombing and enforcement of the ‘no fly zone’, Quadafi remains in power. And there is dismay that the airforce hasn’t yet finished the job. History now seems uncertain about how to understand what happened from 1942 and how to reconcile the moral disgrace of the destruction with the youthful, extraordinarily brave aircrew. It explains why there are still so many people passionately campaigning for a permanent memorial- and why one has yet to be created. The last word on this thought goes to Germany.